Digital | What Are You Reading? It’s a fact: E-books are becoming more and more popular these days. Many of us dread the idea that one day our traditional physical books might become extinct (I particularly think this will not happen any time soon, not in our lifetime anyway, and most likely not in the couple next generations, hopefully). However, it is clear that e-readers are increasingly making their way into the hands of readers. I am a huge enthusiast of digital reading, I love how practical it is, especially when you want to read big, heavy books. Turning a page is as easy as a quick tap on the screen. What does this mean for us librarians? I’ve seen people talking about “readers’ advisory for e-books”. While researching for this article, I came across this post in Library Journal. The author and commenters raise good questions that we need to address when we think about e-books in libraries. I actually agree with the commenter who said RA is not about the medium, but rather the content itself. That means, it doesn’t really matter if the books is in print, audio or digital format, what we recommend to readers is the content, the work. It’s really up to the readers to decide what format is more appropriate for them. Books are the brand of libraries. All formats of books. All. Formats. With the need of an intermediary technology on which to read the story, e-books present a fascinating area of advisory for librarians. We need to be able to be advisors of technology in addition to content. Katie Dunneback, in E-Books and Readers’ Advisory (Reference & User Services Quarterly, 50-4, pp 325-329). I’ve had many patrons come to me at the information desk asking about Library To Go (Overdrive) and our e-books in general. They usually ask me to help them set up the app on their devices and demonstrate how the digital borrowing works. Most of them are older patrons who have been recently introduced to e-readers and tablets. Come to think of it, it makes total sense that we get approached mostly by patrons who are not tech-savvy, as younger people are more used to technology and can figure out their devices on their own. These interactions have never been about book recommendations though, they are focused on “technology advisory” if we can give it such a name. When it comes to e-books, we’re using our instruction hats rather than recommending books. So, I believe the main issue here is promoting our digital collection to patrons. How can we do it more effectively? I think many people don’t yet realize we have these resources available. 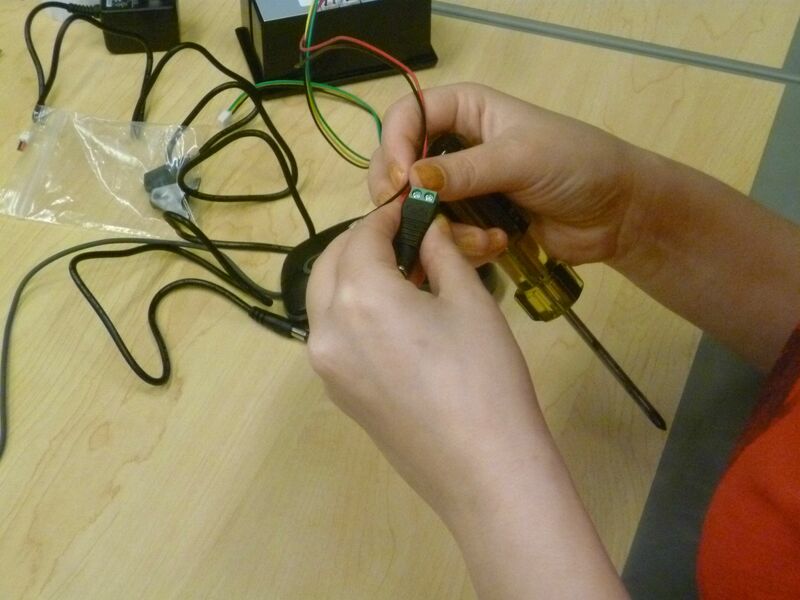 Many libraries already promote events where they demonstrate how Overdrive works. That’s great! But I think there’s more we could do to make our digital collections more visible to patrons who are not yet used to technology. Below are some ideas for e-book displays I found on Pinterest. Printing book covers and adding QR codes for direct links in the catalogue. How simple and cleaver! Another great idea I found in the Overdrive marketing resources is adding stickers in physical books indicating those are also available in digital format. Or creating shelf talkers, slips of paper with the information for the e-book. Claire Moore, from Darien Library in Connecticut, has more ideas for promoting digital collections to patrons, especially young ones. What’s your opinion? What do you think readers’ advisory for e-books means? And how can we do it? Ana Calabresi is an Auxiliary Librarian at Burnaby Public Library and loves her Kindle! This entry was posted in Digital, Displays, Marketing and Promotion and tagged Burnaby Public Library, Display ideas, ebooks on June 16, 2015 by Ana Calabresi. Similar to the Edmonton Public Library, Multnomah County Library in Portland, Oregon also has a Readers’ Advisory team! I had the opportunity to learn more about this program during their session “My Librarian: Personalization and The Future of Reader Services” at the American Library Association (ALA) Conference. Not suprisingly, their program is called “My Librarian” and currently consists of 13 enthusiastic library staff members who offer personalized and specific recommendations to patrons. These team members offer staff training, deliver outreach, participate in public events, contribute to social media, and respond to individual RA requests in just 4 hours a week (or roughly 10% of their time, ideally). This program was created to “facilitate more personal connections for online readers.” Staff members conducted a focus group study, coordinated a series of conversations at ALA conferences, and collaborated with Seattle Public Library to develop the program. A grant for $190,000 helped this project get off the ground. Libraries are often the last point in the book discovery process. People mention word-of-mouth, bookstores, & online resources before they consider libraries as places to attain reading recommendations. Libraries are competing with Scribd, Goodreads, Powell’s Daily Dose emails, National Public Radio’s Book Your Trip series, the New York Times Book Review, Nancy Pearl, & Kindle Fire with their 10 second customer response rate to name a few. How did they recruit & train their team? What does the ex perience look like? How was the program marketed? Thanks to Alison Kastner, Jeremy Graybill, Temlyn Chun, and Laurel Winter for the information. This entry was posted in Booktalking, Community, Digital, Genres, Marketing and Promotion, RA Events and Training, RA Groups, RA Questions on July 31, 2014 by gllibrarian. Let’s Talk About Podcast Advisory – Then Record Ourselves and Share it on the Internet! This weeks post was written by Samantha Mills, a newly minted librarian from the SLAIS program who currently works for the Vancouver Public Library and the AskAway virtual reference service. 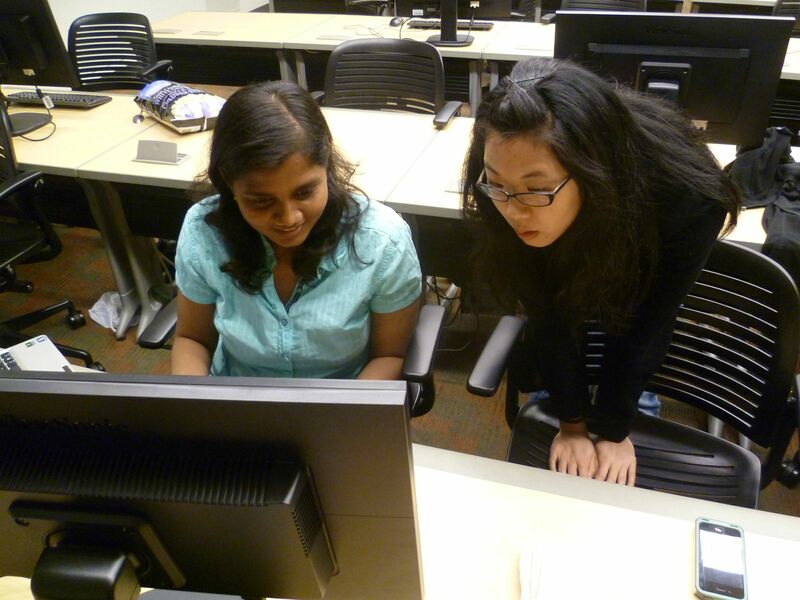 She also trained as a teacher, and has a strong interest in library instruction and digital literacies. Her current favourite podcast is Roderick on the Line. Sam also co-hosts the weekly podcast S.S. Librarianship with fellow librarian Allison Sullivan. You can email them or reach them on Twitter to learn more about podcasting, or to be a guest on the show! As entertainment mediums, genres, and technologies have expanded and changed in recent years, library staff have expanded our Reader’s Advisory skills – into music, audio books, movies, board and video games, and more. Another growing medium, thanks in large part to the growth of easy-to-use home recording and internet sharing technologies, is the podcast. At its core, a podcast is a regular, ongoing or serialized audio program available on the internet, via websites or subscription services. While the term “podcast” is tied to the iPod, it is (despite recent efforts to the contrary) a non-proprietary format, used by individuals, corporations, and everyone in between. There are also a growing number of video podcasts, and some podcasts offer companion material in the form of videos or written articles, but for our purposes, I am focusing here on audio podcasts. The genres available in podcast form vary just as widely as any other medium. Some of the major podcast access platforms, particularly Stitcher and iTunes, divide podcasts into categories and genres, and also offer their own advisory suggestions based on listener behaviour. There are many sources for podcasts, depending on how the patron wants to listen: for listening through an app and managing subscriptions, there are services like iTunes, Stitcher, or Podkicker, among others – but almost all podcasts also broadcast from their own websites, which generally contain archives. Production also varies, from the rebroadcast of professional radio programs (NPR and CBC both make most of their programs available in podcast form each week), to recordings of lectures and interviews from institutions like Harvard and the New York Public Library, to programs recorded by amateurs with a computer, a microphone, and something to say. 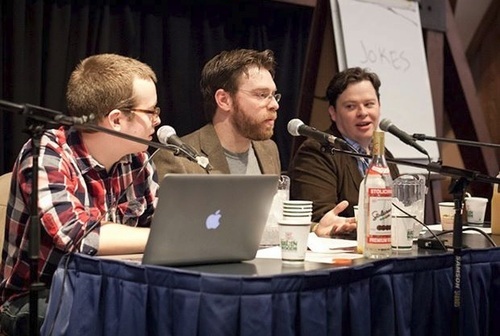 The podcast is also often used as an extension of more traditional media – Entertainment Geekly is one example, hosted by two writers from the Entertainment Weekly magazine. Maximum Fun hosts such diverse programs as bizarre advice show My Brother, My Brother and Me, music dissection program Song Exploder, and medical history romp Sawbones, among others. The Nerdist network has grown from the original Chris Hardwick-hosted Nerdist podcast to include many other programs. Breakout hit The Thrilling Adventure Hour features fully realized drama; more low-key fare includes Mike and Tom Eat Snacks, wherein actors Michael Ian Black and Tom Cavanagh do pretty much what the title indicates. BookRiot is another example of a growing network; the podcast, hosted by the editors of BookRiot.com, is part of a larger books-and-reading community, and has recently been joined by a second show, Dear Book Nerd. How Stuff Works is an online science, technology and education network featuring podcasts like Stuff You Should Know, Stuff of Genius, and Stuff You Missed in History Class. The interview is a staple format of the podcast – comedian Marc Maron’s WTF was one of the earliest successful programs to take full advantage of the uncensored nature of the medium, engaging in meandering, thoughtful (and often NSFW) conversations with comedians, actors, writers, and musicians. Many shows also use the podcast format for fiction, providing audio versions of short stories and even performing dramatic pieces with actors, music and sound effects (Welcome to Night Vale, The Thrilling Adventure Hour, Podcastle, Machine of Death, and many others). When providing podcast advisory to patrons, many of the traditional questions about genre apply – are they looking for fiction? Nonfiction? Science? Entertainment/cultural commentary? But there are some other questions more unique to this medium to keep in mind – are they after something that the whole family can listen to together? Many podcasts are uncensored, but most will be marked “explicit” if they deal in mature themes or language. Do they want something with polished, radio-level production values, or are they content with something a little more homegrown? Additionally, like social media, podcasting can be just as much, if not more, about the personalities and spheres of interest of the hosts as anything else. Content can vary quite a bit, particularly in the more conversational programs. Roderick on the Line is one example, beloved by listeners not for its content as much as for the articulate, thoughtful, and humourous ways that the hosts discuss the wide range of topics their casual conversations touch upon. This is also where the growing number of podcast networks can come into the advisory process – if a patron enjoys one Maximum Fun show, they might like others. Another aspect of podcast listening to keep in mind is the sometimes fleeting nature of the content – some shows, WTF among them, only provide a certain number of recent episodes for free, and earn money to maintain production by charging a subscription fee for the back catalogue. Many podcasts also contain advertisements, and some raise money through annual pledge drives (Maxiumum Fun, This American Life). It’s a new medium, and its business model is still evolving; this is worth pointing out to patrons as they become invested in this new way of accessing stories and commentary. Finally, even librarians themselves are getting in on the podcast game: library staff and library patrons alike who want to know more about the worlds of books, technology, and librarianship would do well to check out shows like Circulating Ideas, T is for Training, and, of course, S.S. Librarianship (which is co-hosted by your humble author, and includes the weekly Readers Advisory segment “Mind Grapes”). NOTE: Because of the homegrown nature of the medium, podcasts are growing and changing all the time; this article is far from a complete list. Additionally, the relatively low bar for production and distribution of podcasts means there’s potential here for new programming ideas – if you’re looking for new learning opportunities for your library, consider teaching your patrons how to podcast! Throughout the month of May students from UBC’s School of Library, Archival and Information Studies will be posting their best Readers’ Advisory tips to the RAIG blog! This entry was posted in Community, Digital, Podcasts and tagged podcast, Podcasts on May 27, 2014 by annaferri. Today’s post comes from Matthew Murray, one of the two UBC student representatives with RAIG, a current MLIS candidate at UBC, and someone who’s involved in too many different projects. A Raspberry Pi is a tiny, low-cost computer that was created to teach young people about computer science and programming. 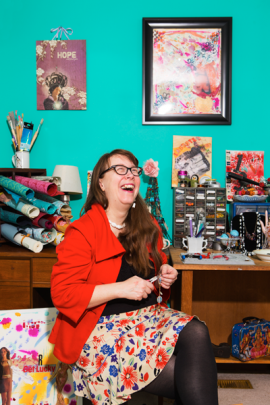 They’ve been embraced by the maker community and are being used for everything from robots to spinning wheels to cellphones to Minecraft servers. A few months ago I saw a post on Tumblr that showed an “Electr-O-Matic Book Fortune Teller” that used an Arduino (a computer similar to a Raspberry Pi) to print book recommendations onto receipt paper when people pushed a button. 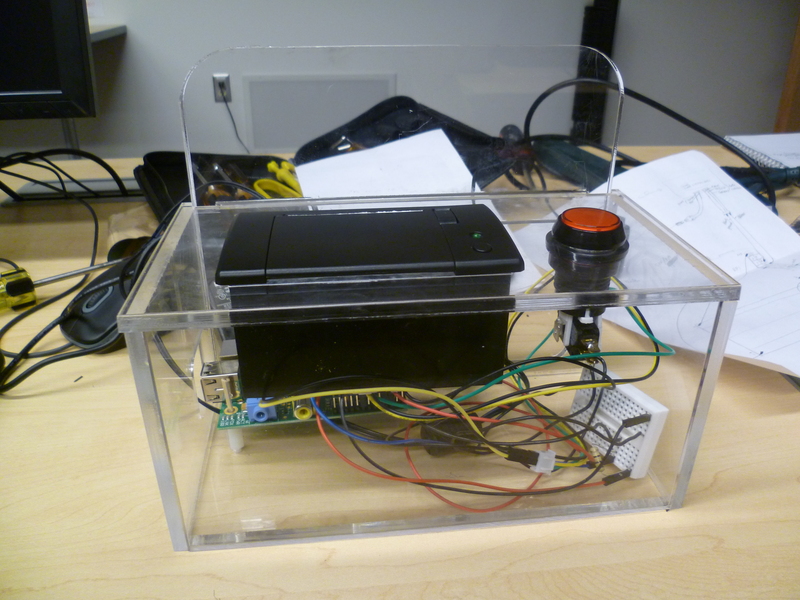 This seemed like a relatively easy project for myself and some other students to use to get experience working with a Raspberry Pi. The first step was setting up the Raspberry Pi itself. 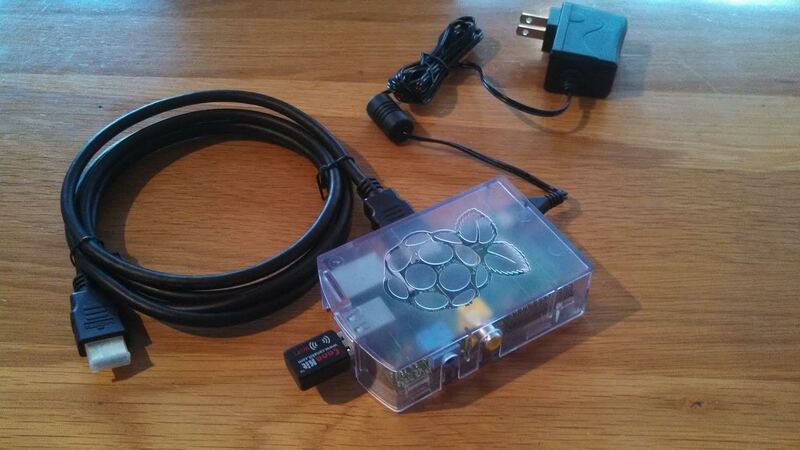 Raspberry Pis run a version of Linux that’s a lot less scary than you might think. We messed up our installation, but you don’t have to do that! 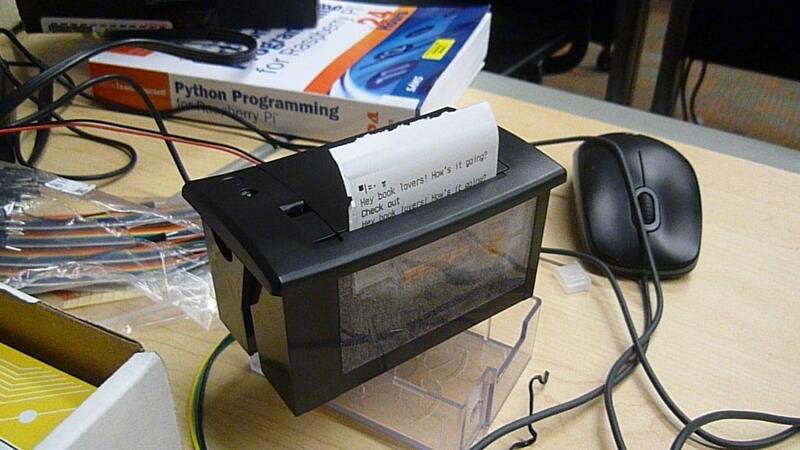 Next we had to set up the mini thermal printer (we bought ours from Adafruit). This involved cutting and stripping some wires, then screwing them into a DC power adapter so we could plug the printer into a power source. Then we installed the printer driver onto the Raspberry Pi. 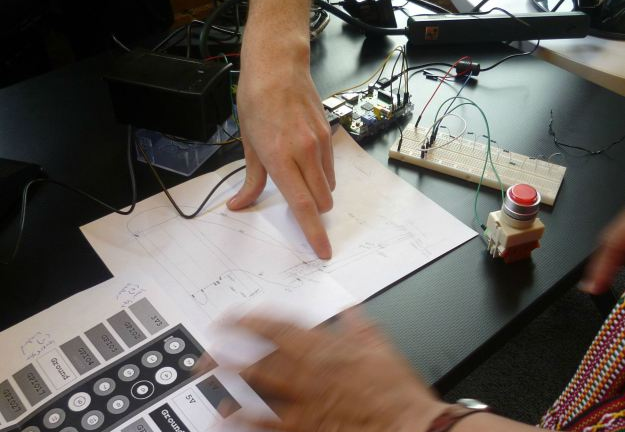 Once we did that we connected the printer to the Raspberry Pi’s GPIO pins using the included wires and printed off a test page. Actually, first we wondered why nothing was working once we’d hooked everything up. Turns out you need to plug the HDMI cable into the Raspberry Pi in order to have anything show up on the computer screen. Despite being supposedly intelligent, tech-savvy graduate students, we forgot to do this at least four five times (so far) during this project. 1. 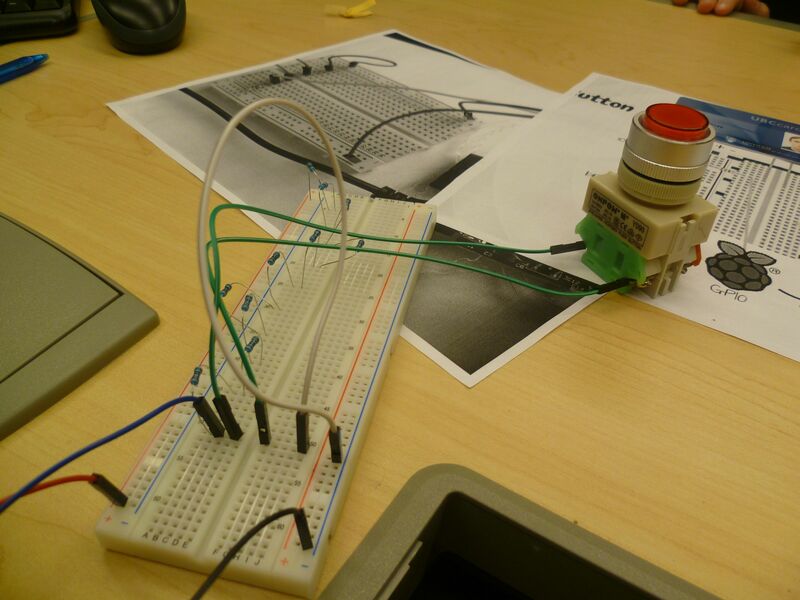 Acquiring a button that doesn’t actually have the necessary connectors. 2. Purchasing the wrong resistors. You’ll then have to install or create a program on the Raspberry Pi that understands when your button has been pushed and tells the printer to print a review. We’ll hopefully have one available on our blog soon! The reviews for our machine are ones that we wrote and include title, author, and a brief description. You could choose to include other information such as ISBNs or call numbers. Once all of that is done you’ll have a working machine that will print off book recommendations! You’ll probably want to get some sort of box to put everything in, but we’re still working on that. We’ll be showing off our machine at the Vancouver Mini Maker Faire on June 7th-8th at the PNE, you should come by and check it out! 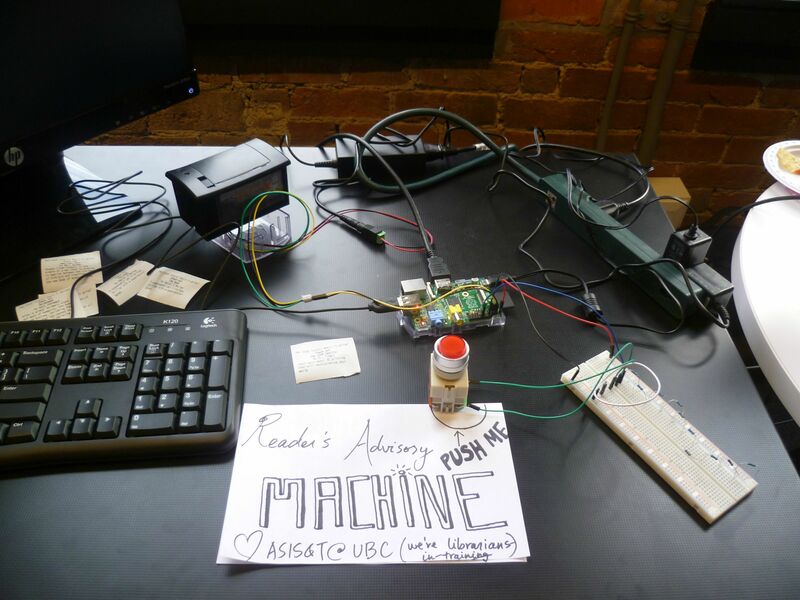 This entry was posted in Digital, Displays, Marketing and Promotion, RA Tools and tagged makers, raspberry pi on May 22, 2014 by thematthewmurray. This week’s guest blogger is Sarah Felkar, Digital Access Librarian at the West Vancouver Memorial Library. In Drupal: click on “Disable rich-text” below the WYSIWG editor, and then paste in the code chunk. With WordPress.org sites, you need to install the iFrame plugin for the list to appear. But it works. With WordPress.com (free) site, we are unfortunately out of luck (for the moment). 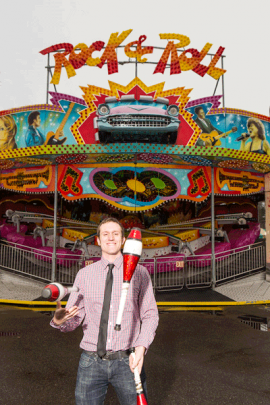 We’d love to see your carousels in action! Link to your examples in the comments. This entry was posted in Digital, Marketing and Promotion and tagged bibliocommons, booklists, Marketing, widgets on February 6, 2014 by sarahfelkar.